UZ Marketing - Print Materials bumper stickers adhere perfectly to most flat surfaces. 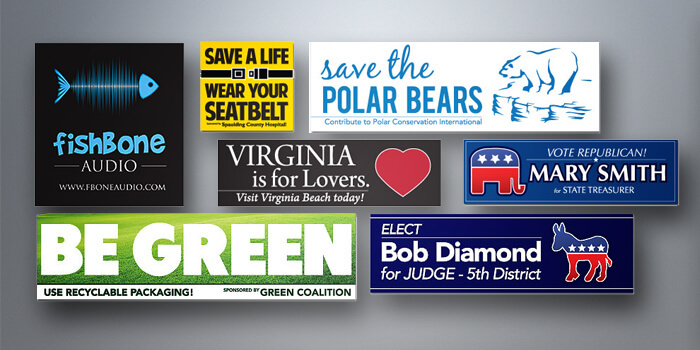 Our bumper stickers are weather resistant giving it a longer life span. We've also heard that you can use these for Guerilla Marketing tagging, but make sure you post these only in places you have permission to post them. Bumper Stickers are uncoated by default. Bleed: Ensure you have 0.5" on all sides of your artwork; do not add crops. Size 10" X 3"12" X 4"8" X 4"